Morgan James Publishing, 9781642793048, 256pp. Calling Up is a guide for coaches of all sports at all levels that presents a step-by-step process to building a transformational culture, starting with changing coaching behaviors, attitudes, and language. Modern-day coaches face the same challenges every day: entitled youth, overinvolved parents, and the community and administration's expectation for wins. Coaching does not just take a great deal of time; it takes an emotional and physical toll, and coaches need to know they are not the only ones facing these struggles. After over 11 years of coaching, and his own coaching philosophy transformation, J.P. Nerbun felt called to share the hard lessons that could not be found in a book when he started coaching. 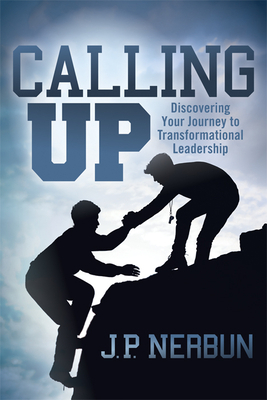 Calling Up provides an easily accessible and inspiring story as J.P. details the transformative experience of a high school basketball coach named Daniel and his year-long struggle to keep his job while working to become the coach he always wanted to be. Apart from the entertaining and relatable story, which connects with coaches on a personal level, Calling Up provides coaches with principles based on scientific research and personal experience that explore how people learn, what motivates them, and the human condition. These principles are shared by some of the most highly qualified and successful coaches in sports and J.P. also provides specific tools and explains how those tools are applied within the context of a team. At the end of the day, Calling Up shows coaches not just how to build great athletes, but how to build great people.